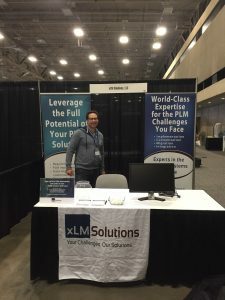 Earlier this month, my business partner Ilan and I were at SolidWorks World showcasing our expertise and presenting technical sessions to an enthusiastic crowd. It is always a pleasure to attend partner events, especially the user conferences. It gives us an opportunity to interact face-to-face with our customers and prospects on their most pressing concerns, questions and ideas. In two separate posts, I’d like to highlight a few key topics that fueled interesting discussions during our presentations. At the “Migration to the 3DEXPERIENCE Platform,” session we explained the fundamentals of migrating SolidWorks data to 3DEXPERIENCE touching upon the source systems, implementation data models and migrations methods, technologies, tools and best practices. Is it imperative to first migrate to SolidWorks PDM (formerly EPDM) before migrating to 3DEXPERIENCE? This is a common question that our xLM experts hear from our customers and prospects. Although it is true that the SolidWorks PDM data model is similar to 3DEXPERIENCE data model, it is not necessary to first migrate to SolidWorks PDM. A direct migration from the source system to 3DEXPERIENCE is most often the efficient and cost effective strategy. Data cleanup is the stepping-stone for a smoother migration. With any migration, making sure the data is clean—no broken links, bad meta data, bad file naming conventions or duplicate file names, is critical. Starting off with bad data almost always leads to negative consequences, both from a technical and user standpoint. Technically, a bad data set causes corruptions in the migration and the migrated data becomes non usable in 3DEXPERIENCE. From a user or business perspective, a clean formatted data makes for easy and efficient access to the data. At xLM Solutions, our PLM experts take the data cleansing process very seriously. We do not begin a migration project with properly addressing the data cleaning process. We run various reports to analyze the existing data, determine its quality and any issues before beginning the cleansing process in collaboration with our customers. Is SolidWorks PDM, formerly EPDM, same as 3DEXPERIENCE? This is another common question that begs for some clarity from PLM experts. The Windows Explorer user interface of SolidWorks integration is very similar to that of 3DEXPERIENCE’s. However, the under the hood operation of the systems that manage the data are very different. Based on our PLM experience, we’d argue that SolidWorks PDM integration to SolidWorks is more mature today than the integration with 3DEXPERIENCE. It definitely has more functionality than the 3DEXPERIENCE version. Though, it is only a matter of time before Dassault bridges the functionality gap between for 3DEXPERIENCE and its SolidWorks integration. In addition, 3DEXPERIENCE has more features and capabilities than SolidWorks PDM. For instance if other PLM functions are required such as the Requirements management, Quality Management, Program Management, true Bill of Materials functionality, then the overall benefits of 3DEXPERIENCE outweighs the SolidWorks Integration functionality gap between 3DEXPERIENCE and SolidWorks PDM. Overall, we saw a lot of eagerness among SolidWorks users on the topic of migration. Although we tried to answer as many questions as we could, I am sure there are still more that we can help answer. Call the experts at xLM or contact me direct—we’d love to chat! In the next post, we will discuss different customization approaches and options for SOLIDWORKS PDM.